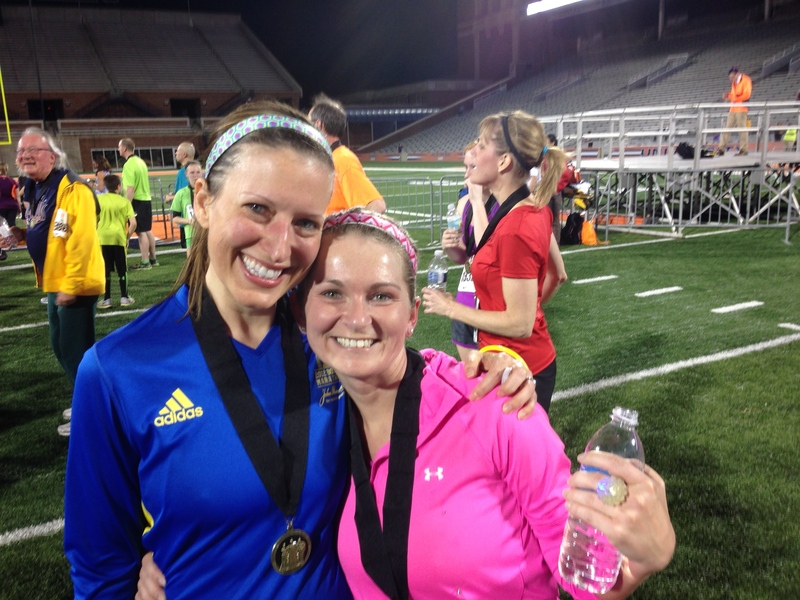 Race Takeaway: My love of running makes me do crazy things. 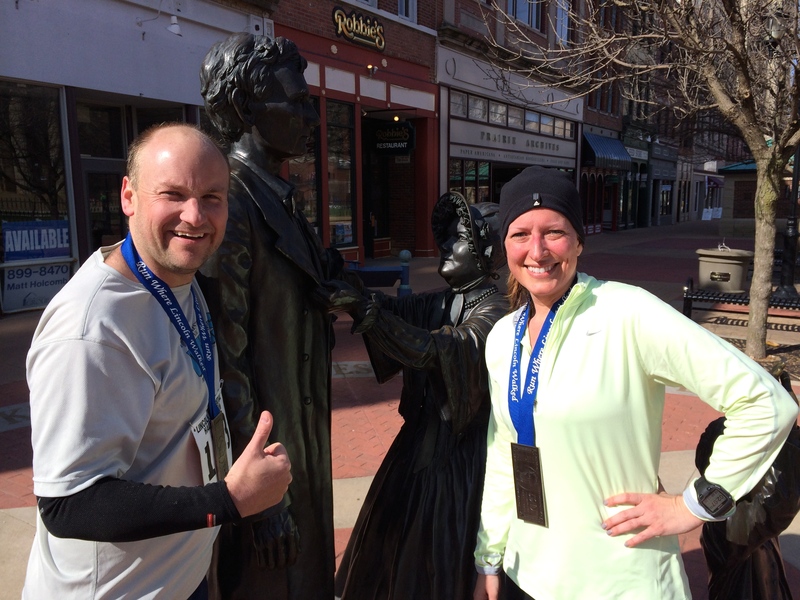 Saturday, April 5th was the 2014 Lincoln Presidential Half Marathon. Before we get to the race day, I have to share some back story. Drew, Rob, and I had signed up ages ago as we were planning out our 2014 racing season. 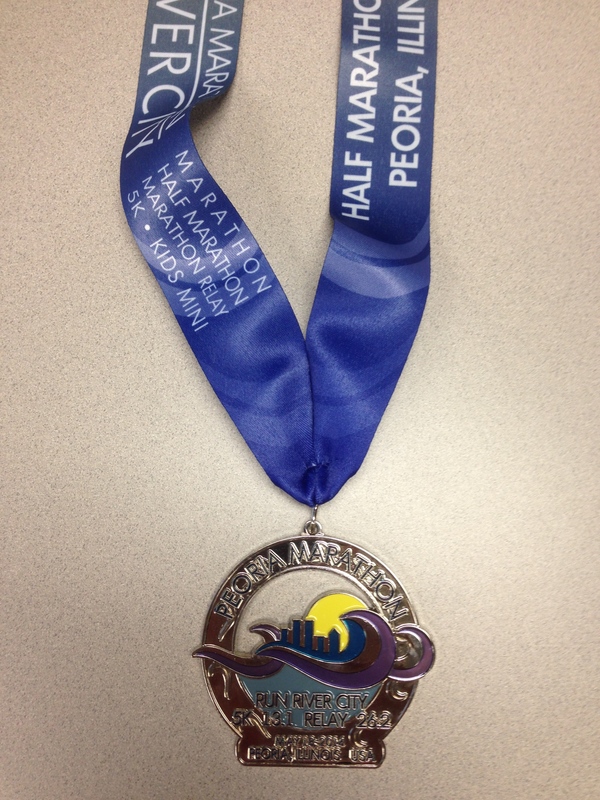 Drew’s training is focused on the IL Marathon at the end of April and doing this half marathon would be a good training run to test his fitness and potentially set a new PR. 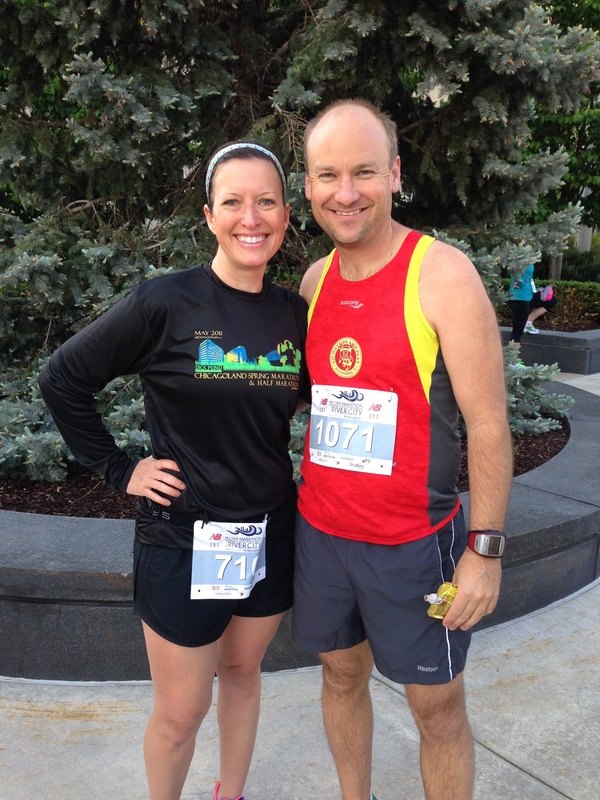 I had planned a conservative running plan that was focused on the IL Half Marathon and was going to use this race as way to help shock me back into running this far again. 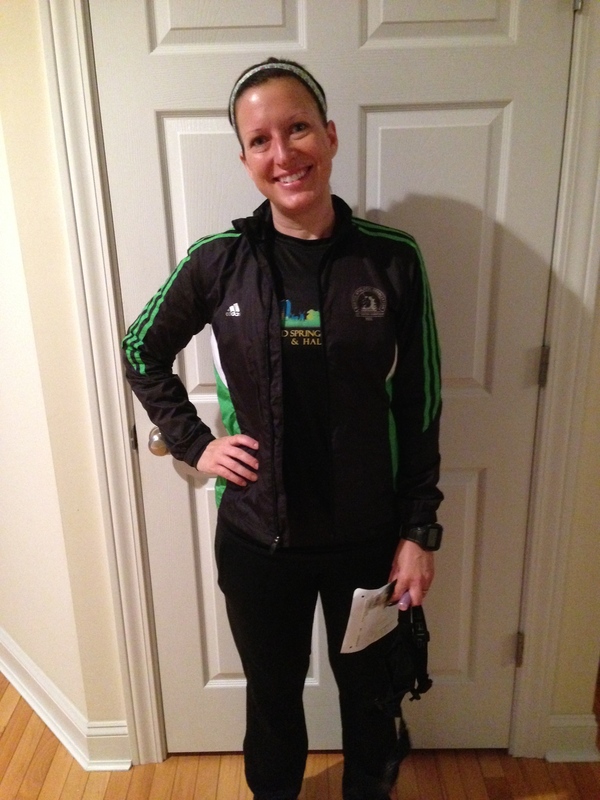 My last long run was 16 miles back in December 2012 when I was about 4 months pregnant. I had started my training run the week of Christmas 2013 and all was going pretty well through the mid-February 2014. I was slowly building my miles while trying to manage work, caring for our baby, taking care of the home, and preparing for an exam. My longest run to that point was 8 miles. Then wham, our house was hit with sickness that lasted over 5 weeks! Rob, Chase, and I were all miserable. Each of us had been to the doctor and were all on meds. Needless to say my running completely stopped. I was just lucky to make it through the day and baby wasn’t sleeping well either between being sick and teething. 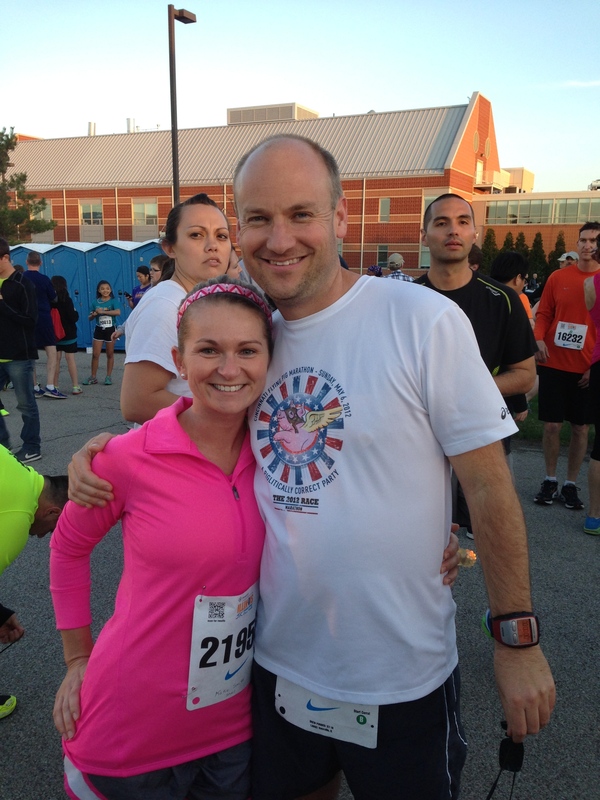 Because of our illnesses we had missed our first two races of the year, a 5K and 10K. March was just punishing. So the week before this race I was finally coming out of the sickness. Rob was still down for the count. I was able to run 3 days for just 2 miles each day. 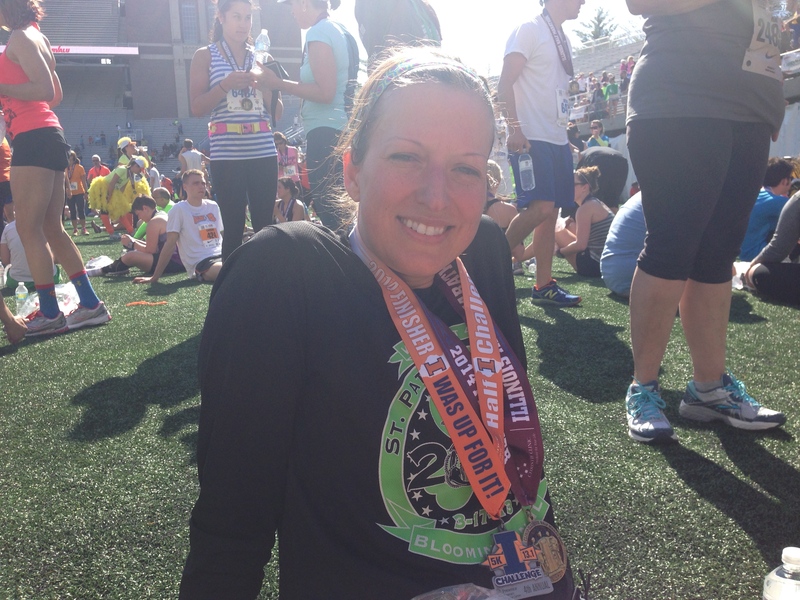 I was in no condition to be doing a half marathon. Nor would I advise anyone to do what I was about to do. 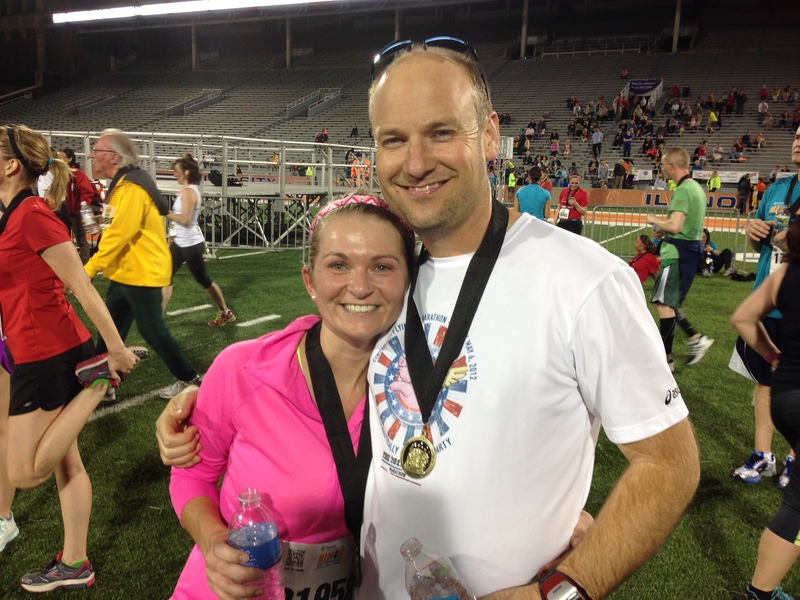 I knew that running this race would likely leave me VERY sore and run the risk of an injury. 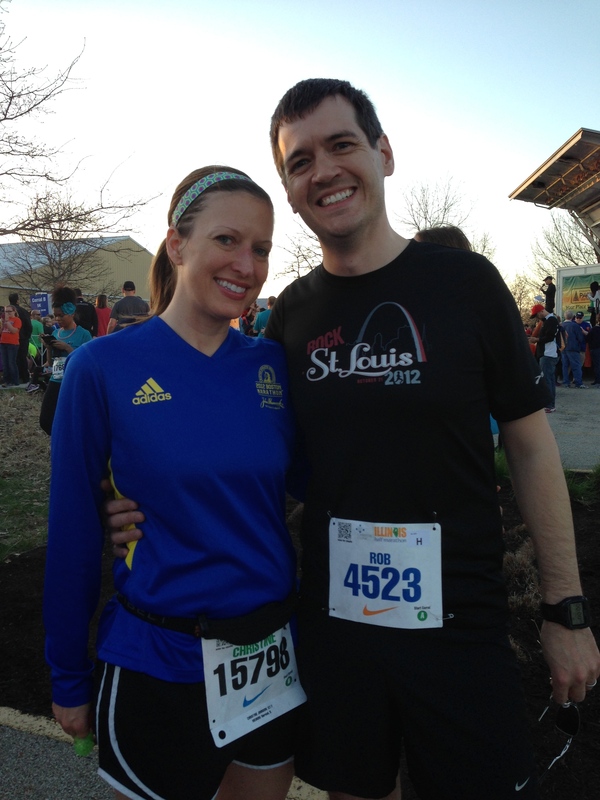 Also, I knew that it would be very likely that I would feel miserable for at least half of the race. Still I just couldn’t pass up the chance to finally run. The winter in Illinois has been the longest that I can remember and after over a month of sickness, I just wanted to be out running, no matter how much it would likely hurt. I decided that I would try to run easy for around 6-8 miles and then expected that I could end up having to walk the rest of the race. This race has hills with the biggest ones around miles 8, 10, and 11. Hills are not my thing, even when I am in shape. I just try to survive them. So with a plan of taking it easy and surviving it was time to go race. This would be my third time running this race. I wasn’t there last year, but since 2012 the packet pick up and race start/finish had changed. Even so, the race logistics were the same, it was very easy to navigate getting around. This was the largest year of participants, over 2,000. 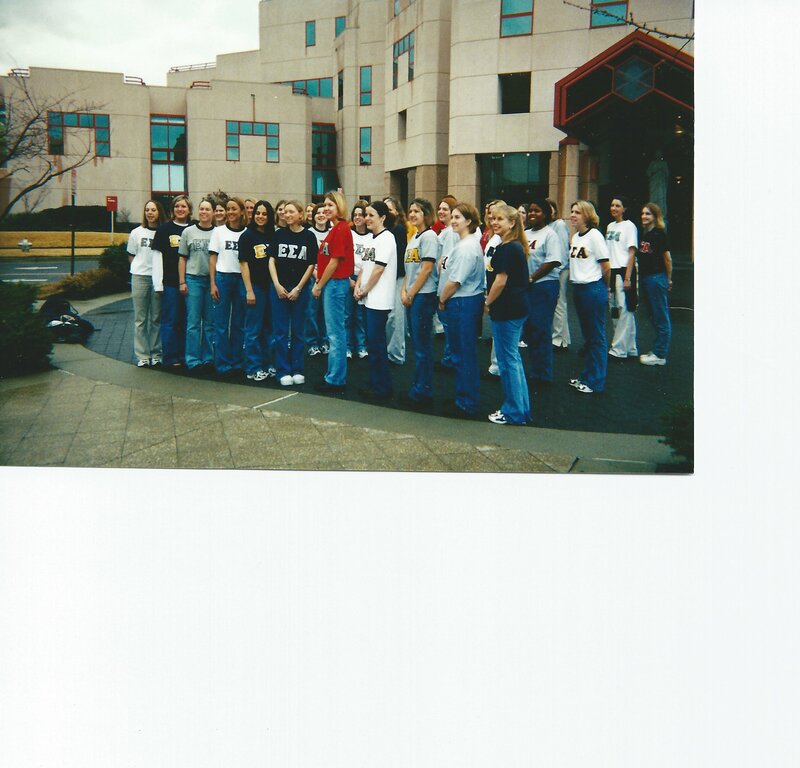 We were up at 4 am and out the door by 5am to drive the hour to get to Springfield, IL. We were able to find on street parking near the new start/finish location on 6th and Washington. It was low 30s, sunny, with a light breeze. It was perfect running weather. I decided to run in capris, long sleeved shirt, gloves, and hat. We wore sweatshirts when waiting around before the start. 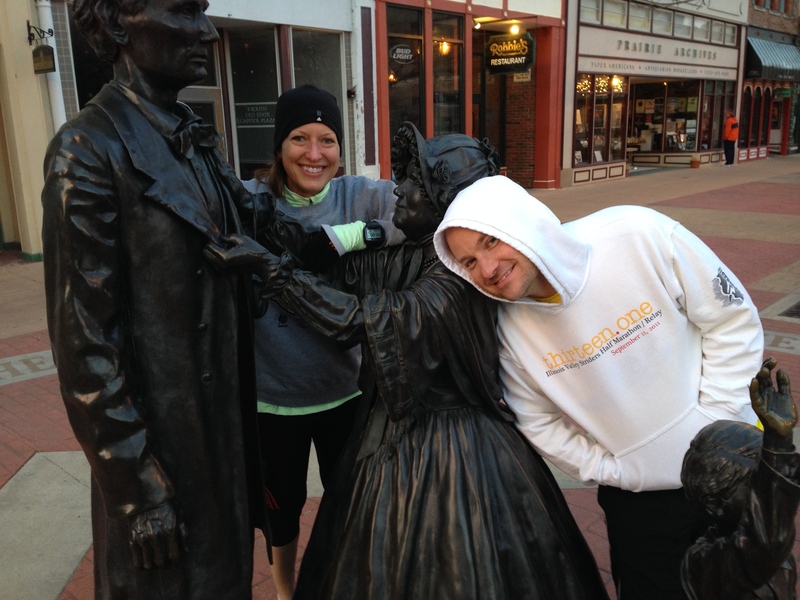 There are no start corrals, but because the race is a smaller event it really didn’t feel like an issue. After a few words from President Lincoln and his wife and the national anthem we were off. It was funny on the hills because anytime we were going down hill I wouldn’t brake my stride. Sometimes people get scared of the incline and start to lean back and change their stride to slow down. 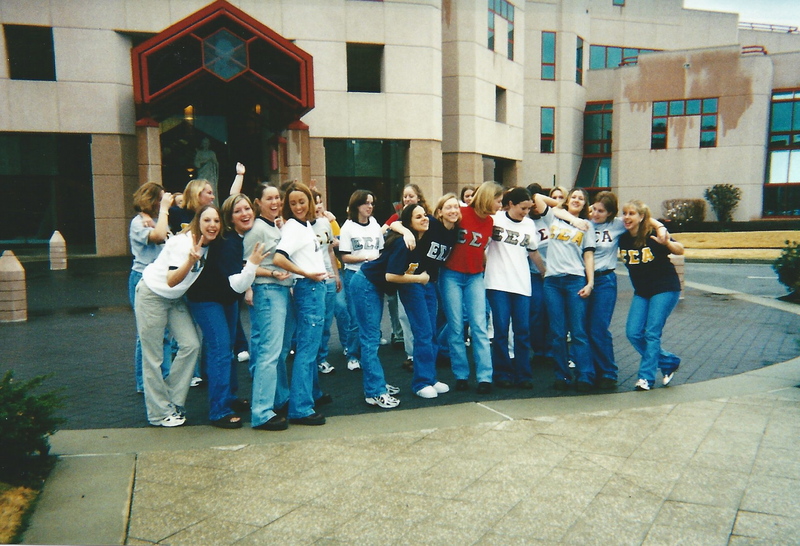 In our past training we learned how to lean into the downward slope and not brake your steps. It makes you go super fast and keeps you from getting injured. I had gotten up to 6:27 pace on some of my downhills. So here I would go super fast to save my legs and then walk up the hills. People would look at me funny as I zoomed past them and then would switch to walking. 🙂 It looked silly, but hey it’s my race and I need to preserved my legs as much as possible. And I was definitely feeling the grind from being on my feet this long, since it’s been over a year since I’ve ran this far. 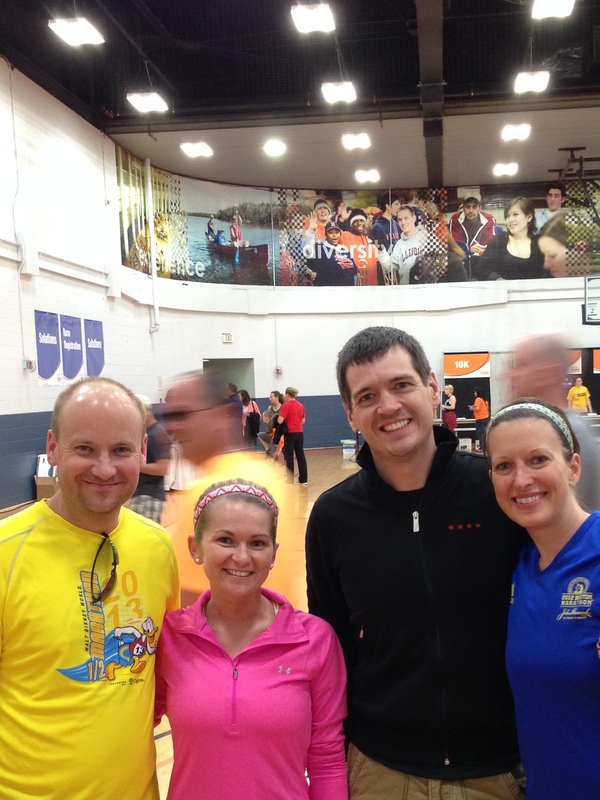 By the last mile I was sore, but still smiling. 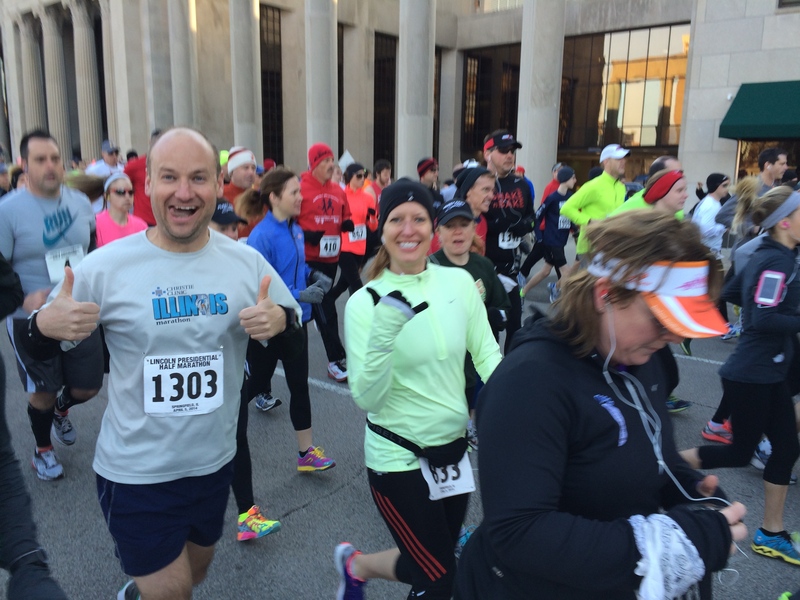 I was so happy that I got out there and got to feel the energy of the runners, volunteers, and spectators. It was so worth it and I did better than I expected. As I came through the finish chute I high fived the rows of specters with there hands out and shouted “I just had a baby!! Woo!!!!”. I was so proud to be out doing what I love, even with everything that’s been going on. Even with my walking through the hills and water stops after mile 6, I came in at 2:07:07. 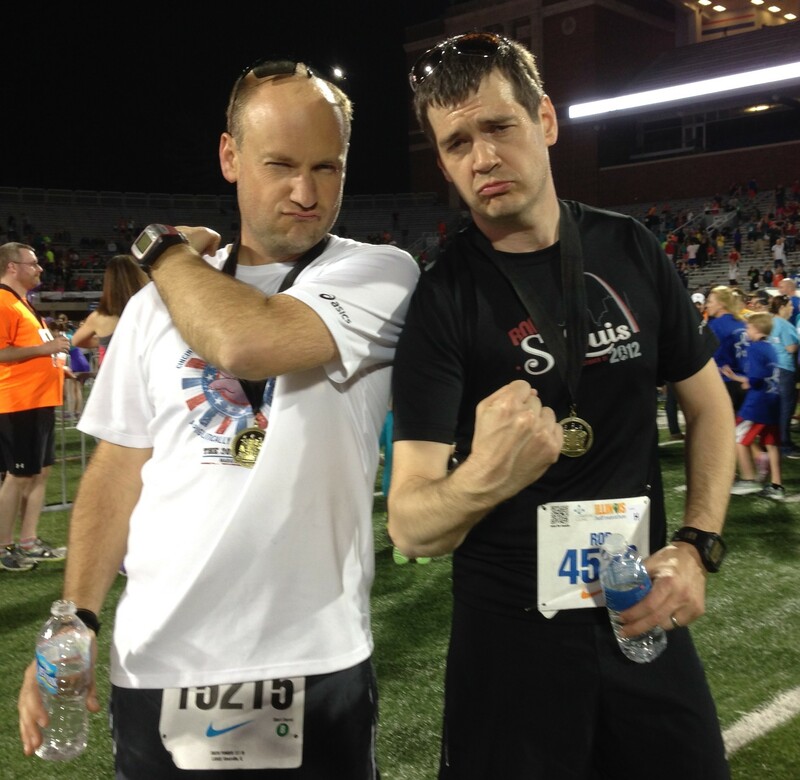 After getting the finisher medal Rob and Drew easily found me. Drew got his sub-2, 1:59:11 and a new PR!!! 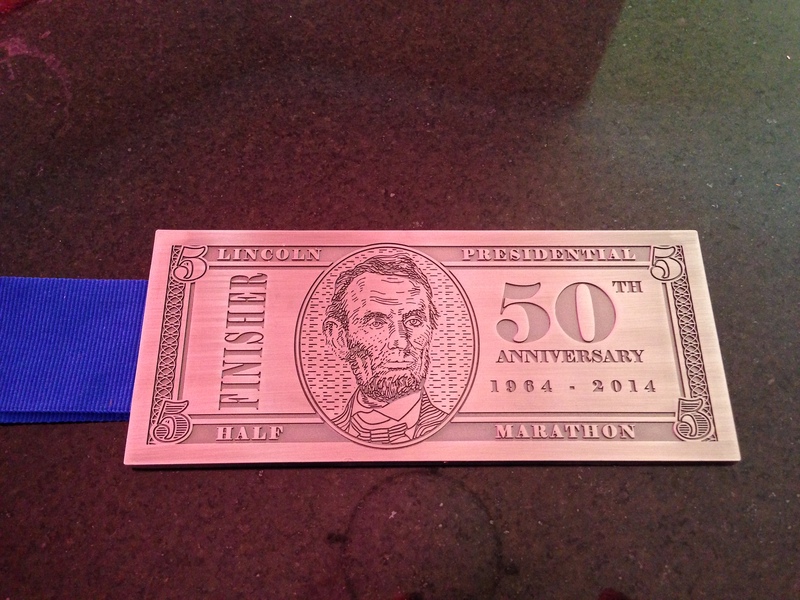 The Lincoln Presidential Half Marathon has a unique finisher’s medals. 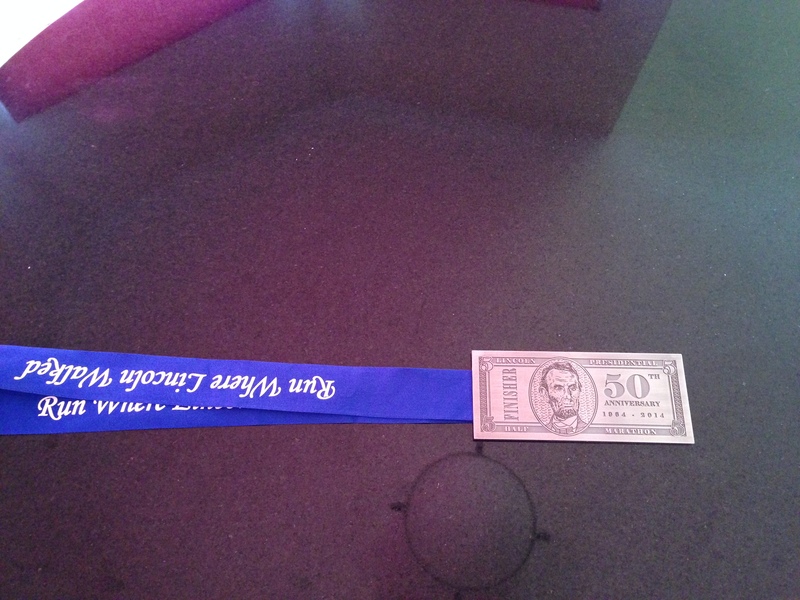 Normally they are a large penny, but since this year was the 50th anniversary, they had a 5 dollar bill. Man that thing was heavy too! I hope you all had an amazing holiday! I’m so late posting this that I’m sure most of us have moved on from thoughts of Christmas. I’ll just say quickly it was an amazing time for us as with our new family. 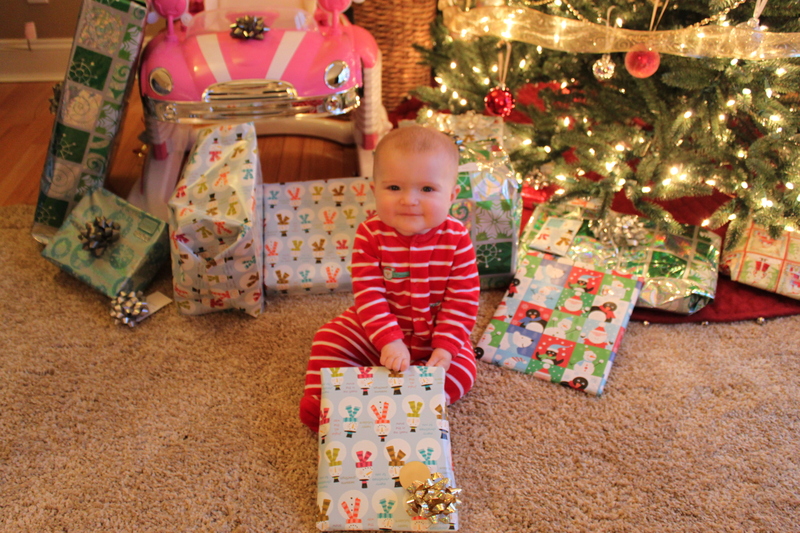 It was such a joy to see Chase experience all the aspects of Christmas for the first time: church, opening presents, lots of toys. 🙂 Just warms my heart! So on to the new year! 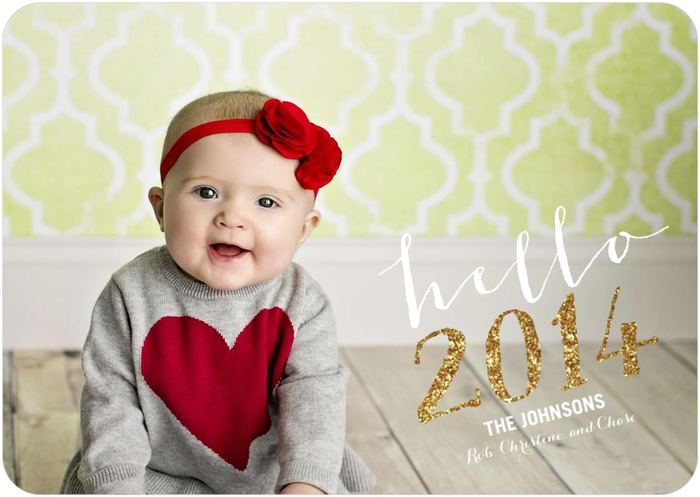 Happy 2014!! As Drew likes to say, “it’s the year of the comeback”. Meaning we are all ready to get back to the business of running and training hard. Well in my case training hard, will be easy to accomplish. My fitness is so low that most runs feel hard. It’s like I’m starting all the back to the beginning. Except in this case, I know that with consistent hard work the pain will eventually become less and less and the euphoria that running brings will be back. My race plans for 2014 are starting to form, right now I have the following on my radar. More to come as events get announced. For now I’m gearing my training to get me in shape to run IL Half Marathon. My training plan is very easy and comprises of 3-4 days of running. As I was saying, I’m basically starting over from scratch so I have to be careful and ease back into things to try to prevent injuries. Also, this light plan will also work best with balancing working, taking care of an infant, and taking care of the house. I built this training plan from Runner’s World Smart Coach and adjusted the days of the runs to fit my schedule. Since I am just looking to get more fit, I don’t have a race time goal. I’m basing my paces by level of effort. Which actually works out perfect because perceived effort can change if it’s been a hard night with baby or something like that. I can’t believe a month of “training” has already passed. I know it’s not much, but I’m excited that the running year has all begun! Please share any goals you have for 2014! I would love to hear about what’s on your radar for the coming year. 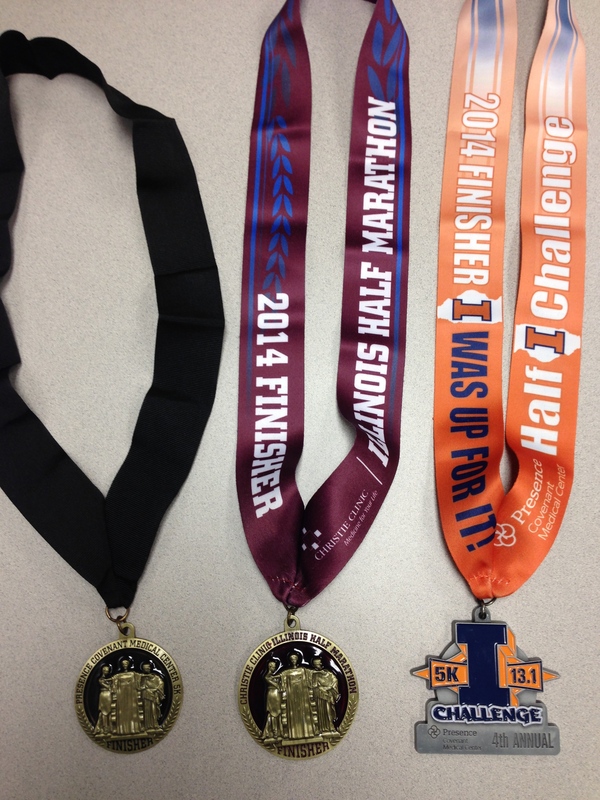 Categories: 6-9M, Baby, Half Marathon, Illinois Half Marathon | Permalink.